Using our superhydrophobic coating, you can make your treasured things water resistant and waterproof, protecting them from mechanical scratch, rotten, rust, the harmful effects of ultraviolet light from the sun, etc. Would you like your car’s windshield and windows to be superhydrophobic, repelling water and resisting spots? Our superhydrophobic coating spray solution, UHC-GC does just that. It causes rain drops to bead up, instead of running down the glass in sheets that can obscure your vision. It will allow you to see much more clearly, especially in heavy rain. You will see more clearly and thus reduce the possibility of an car accident. Buy this superhydrophobic coating product with confidence we have sold hundreds of thousands of this product. No complain so far. Let’s say you are driving at 40 MPH in a steady rain. This formula will cause the rain to bead up on your windshield. You almost do not have to use your windshield wipers as the beaded water will flow right off your windshield. Please watch our video showing the incredible effectiveness of this product. This is the result of state of the art nano technology, which uses microscopic particles to achieve the expected results. We also feature another superhydrophobic coating nano particle based spray which we call UHC-PM. 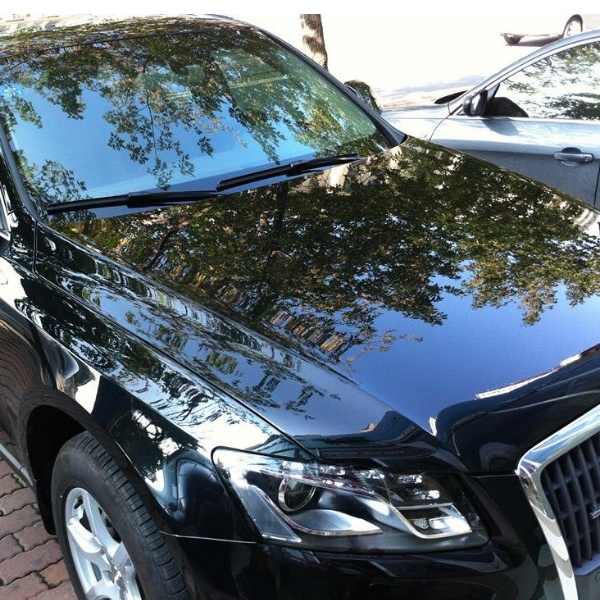 This remarkable coating helps to protect your vehicle from the damaging effects of ultraviolet radiation, which over time can fade car paint and interior dashboard surfaces. It also makes your car pain scratch resistant, and even has a self cleaning effect, removing small amounts of dirt and grime. Making insect stains much easier to clean during spring, summer and fall, it is especially helpful for those country drives. These two formulas, UHC-PM and UHC-GC can protect your car up to ten years! We also feature another superhydrophobic coating nano formula which is specifically designed to protect car seats for children and infants from stain causing liquids such as fruit juice, baby formula and soda. We call this formula UHC-Tex Spray. It also works for pet dirt. Our formulas can also be used for many other items, such as furniture items, motorcycle seats and bodies, shoes, mattresses, hand bags and other common items that you would like to protect from water. Protecting outside surfaces is also important. We feature two different formulas, one for hard surfaces such as concrete, and another for wood. UHC-CS is used for concrete and stone surfaces, making them water repellent. UHC-W on the other hand protects wood doors, decks and so on from rain and water. Finally our microfiber cloth is great for cleaning the interior of your car.